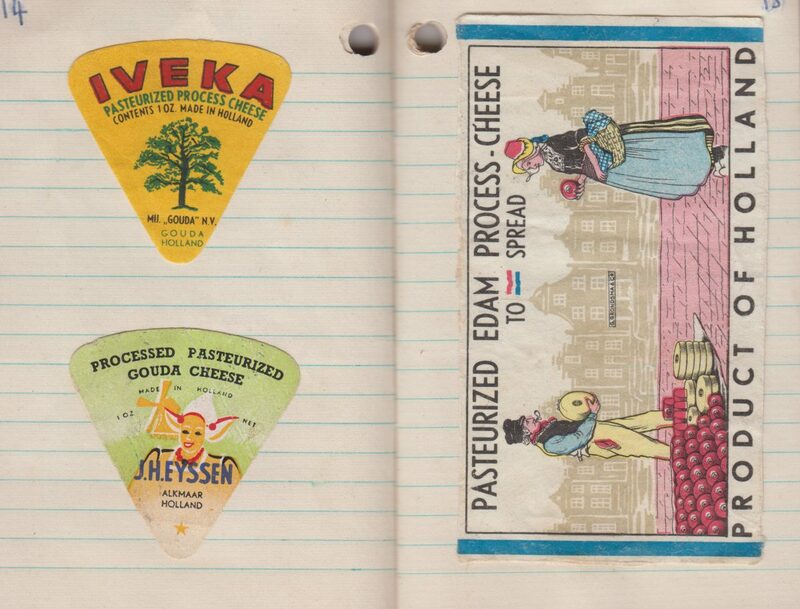 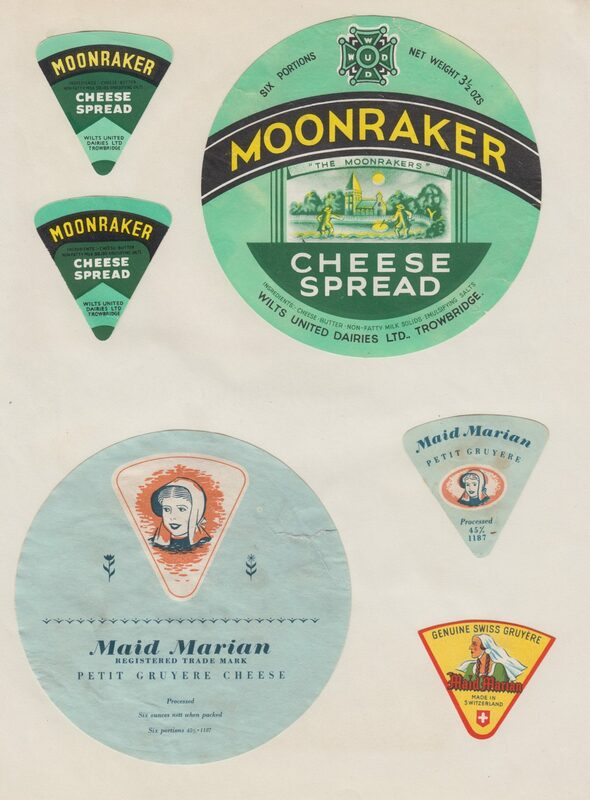 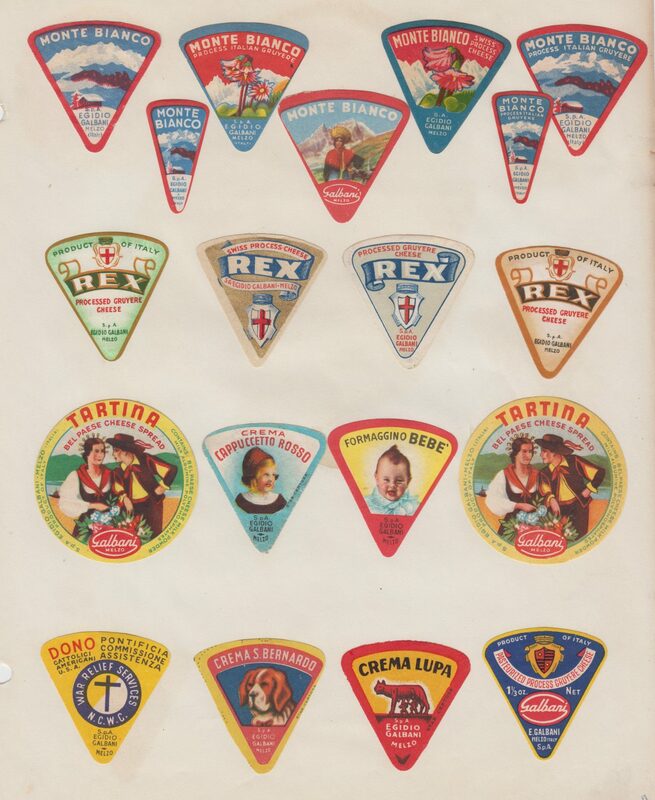 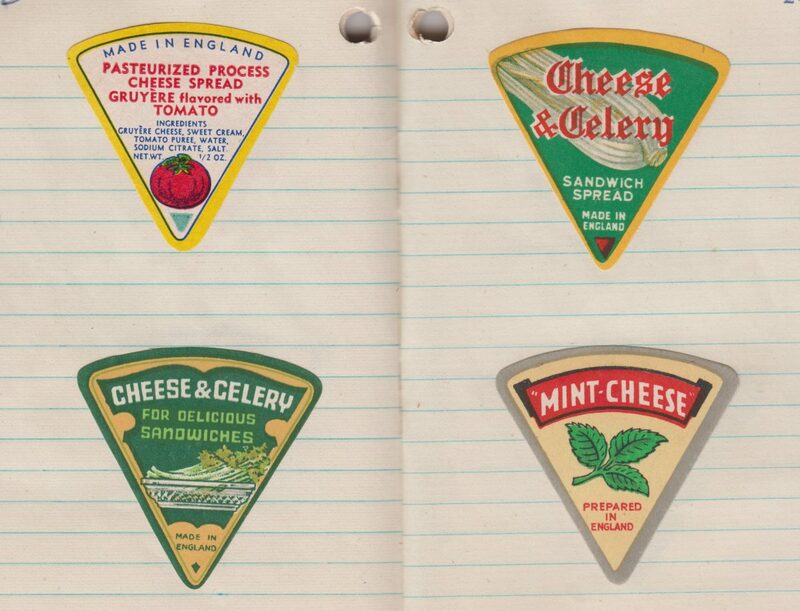 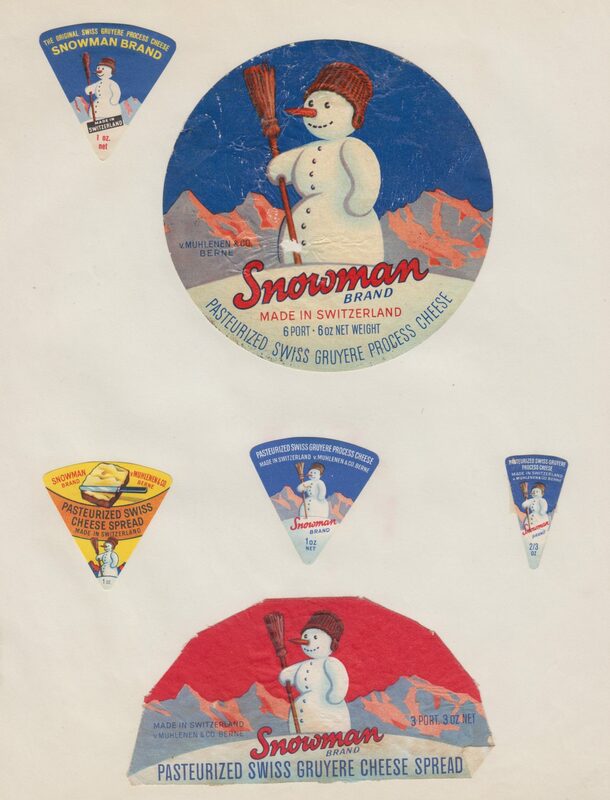 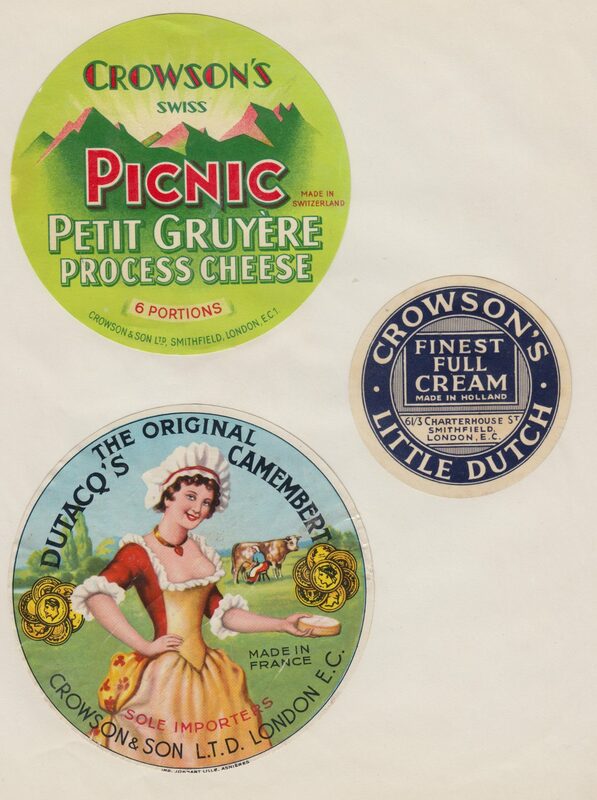 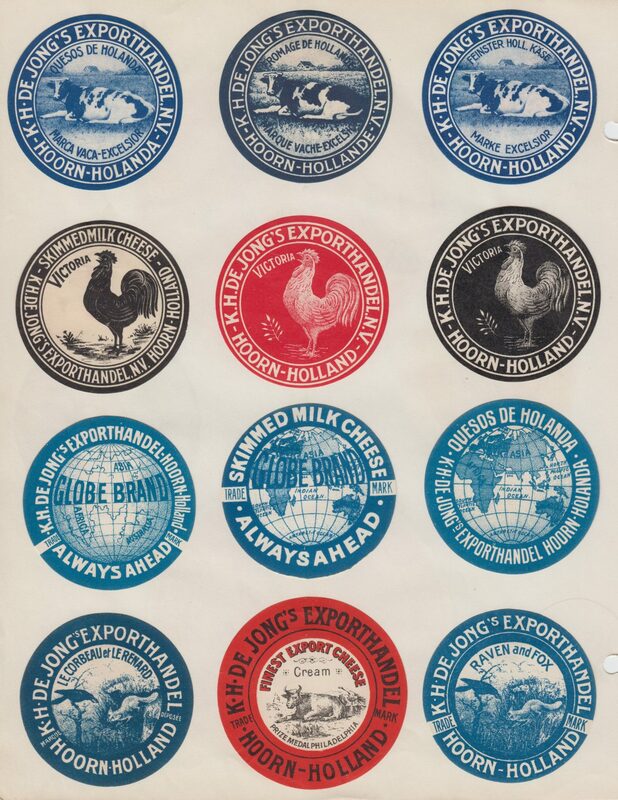 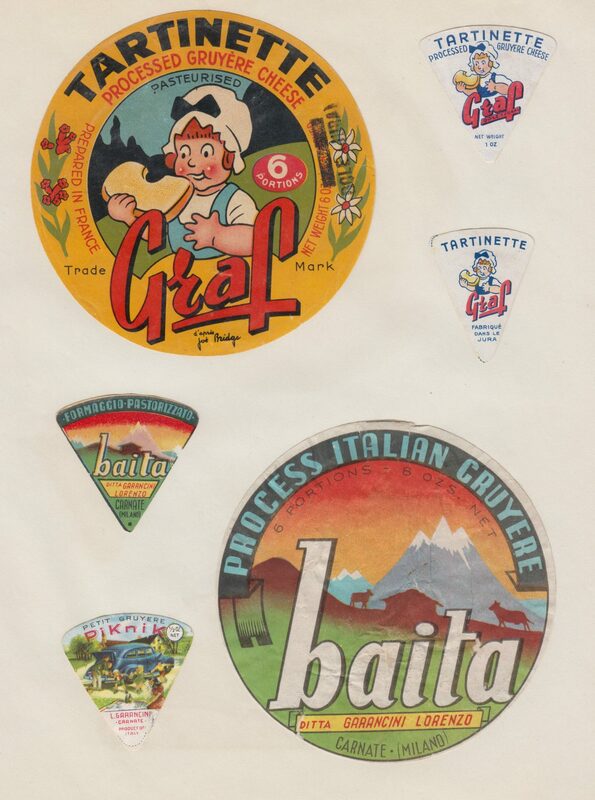 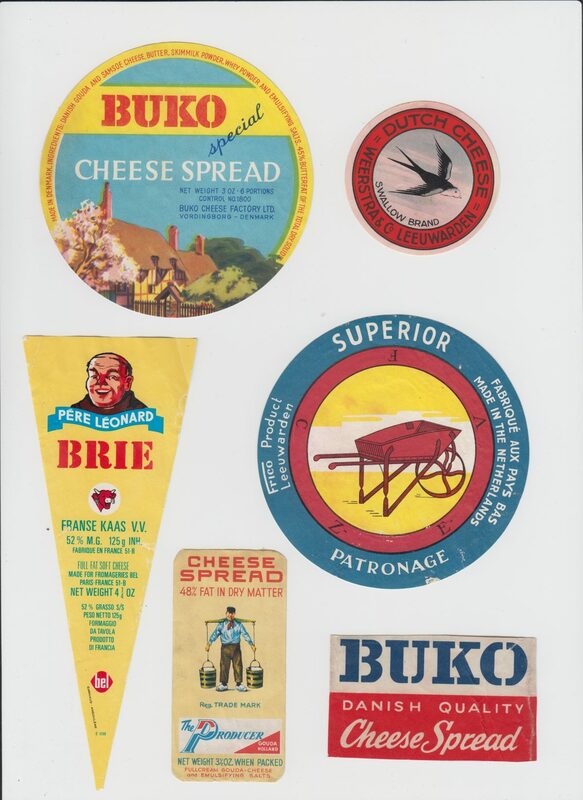 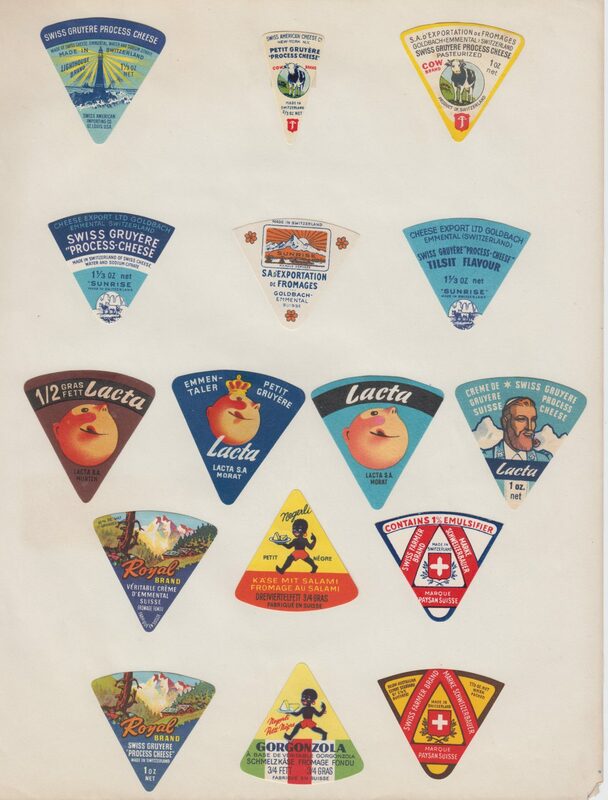 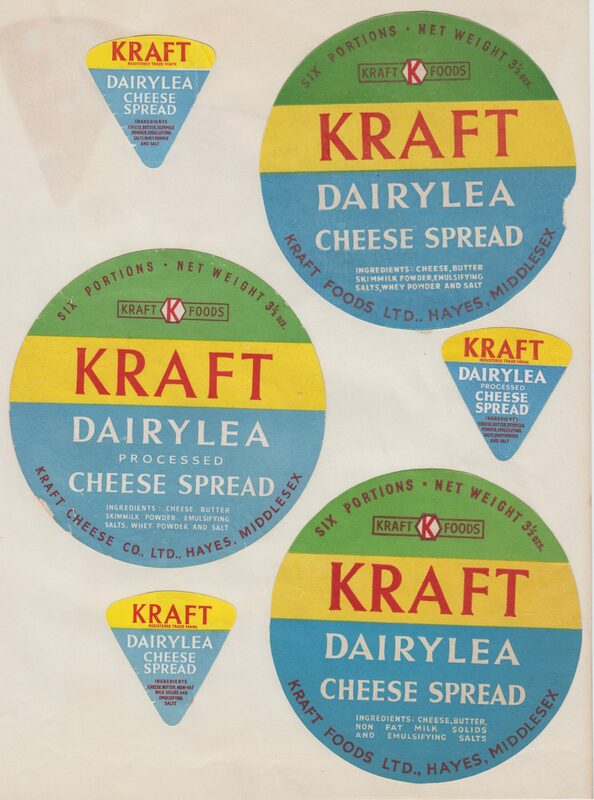 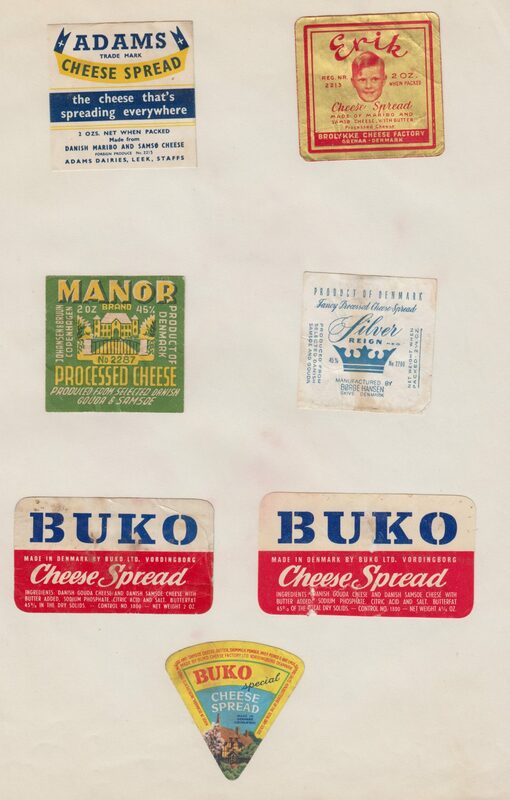 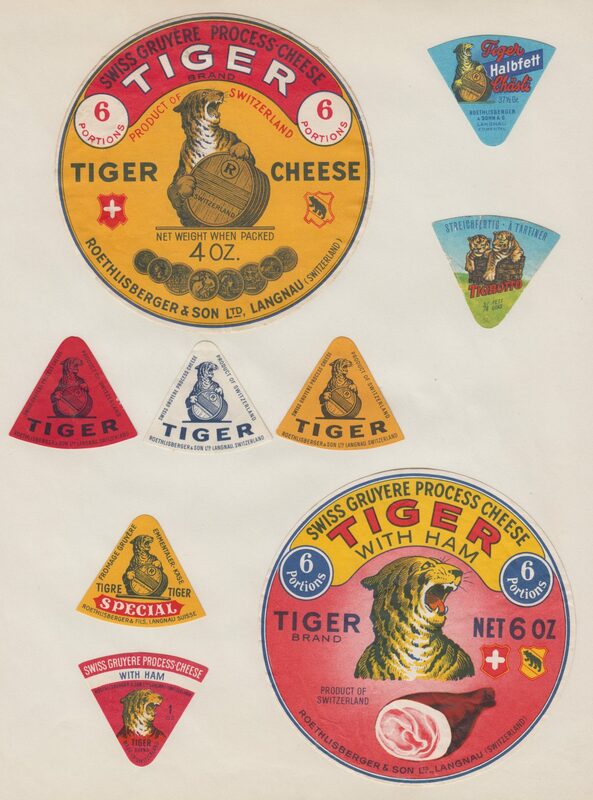 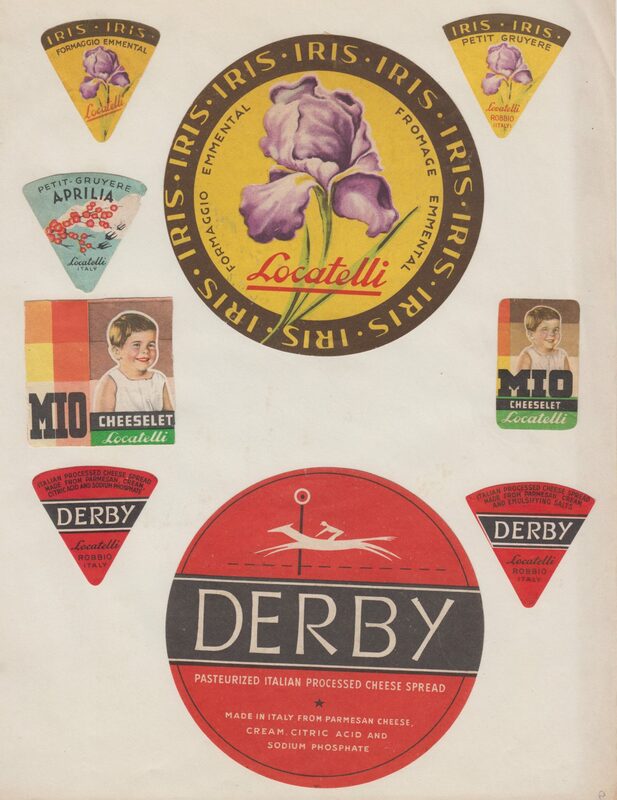 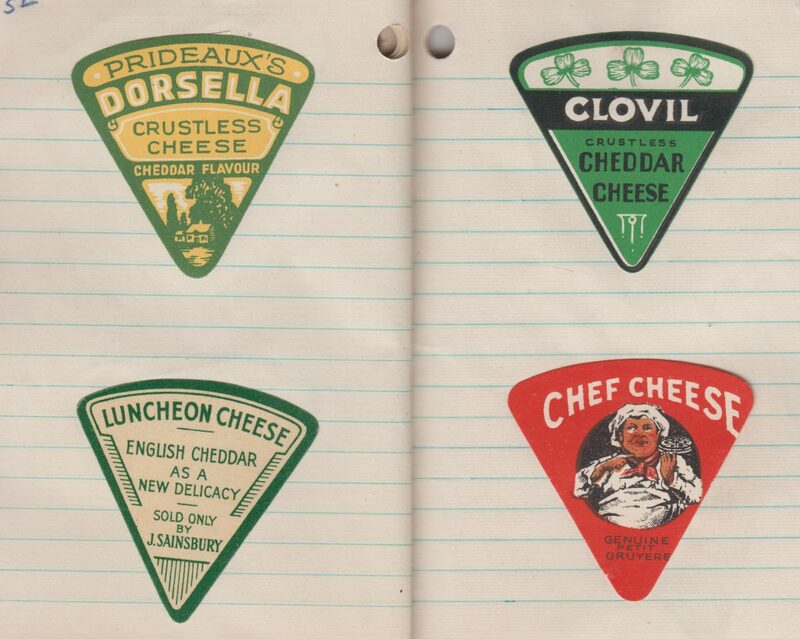 “This is my father’s collection of cheese labels from the 1940s and 50s,” says Londoner Julian Tysoe. 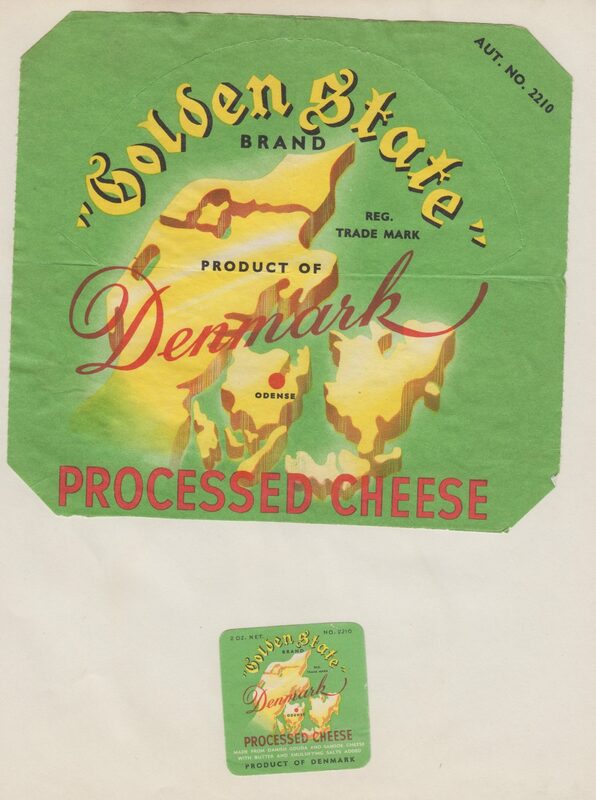 We’re about to see John Jeremy ‘Gus’ Tysoe (26 August 1938 – 25 September 2016) unique museum. 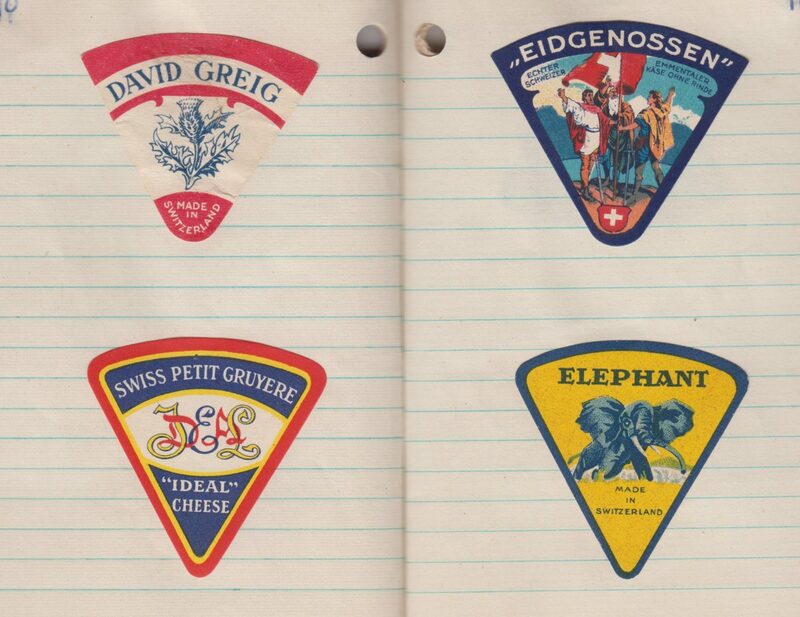 All the labels are stuck in the pages of exercise books, some lined. 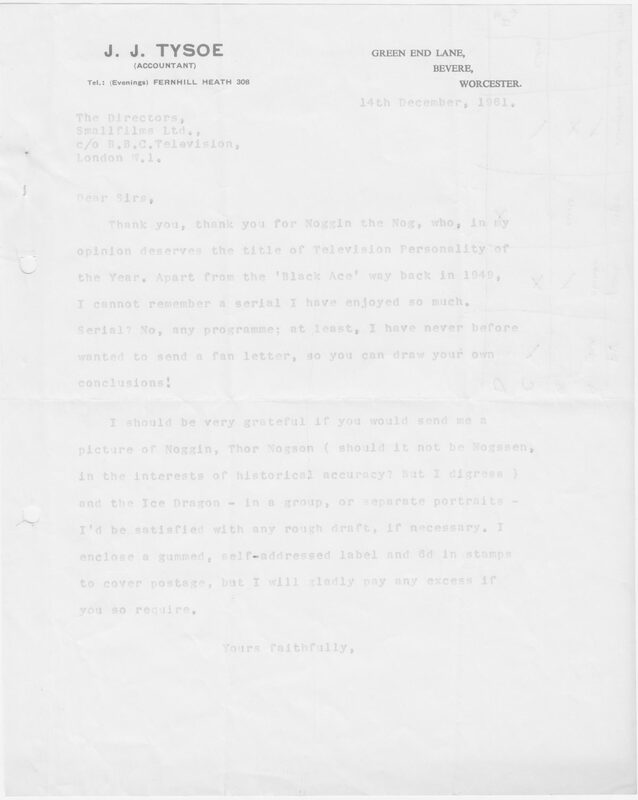 When not collecting cheese labels and working as an accountant, Gus was corresponding with Oliver Postgate (12 April 1925 – 8 December 2008) about the English animator’s TV show Noggin the Nog, Tolkien and accountants. 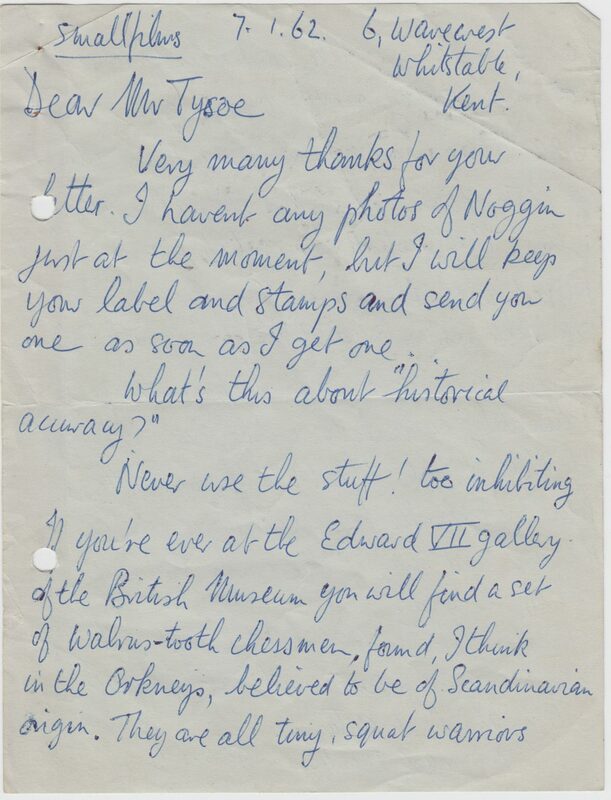 Mr Tysoe’s opening missive and Mr Postgate’s fulsome reply is below. 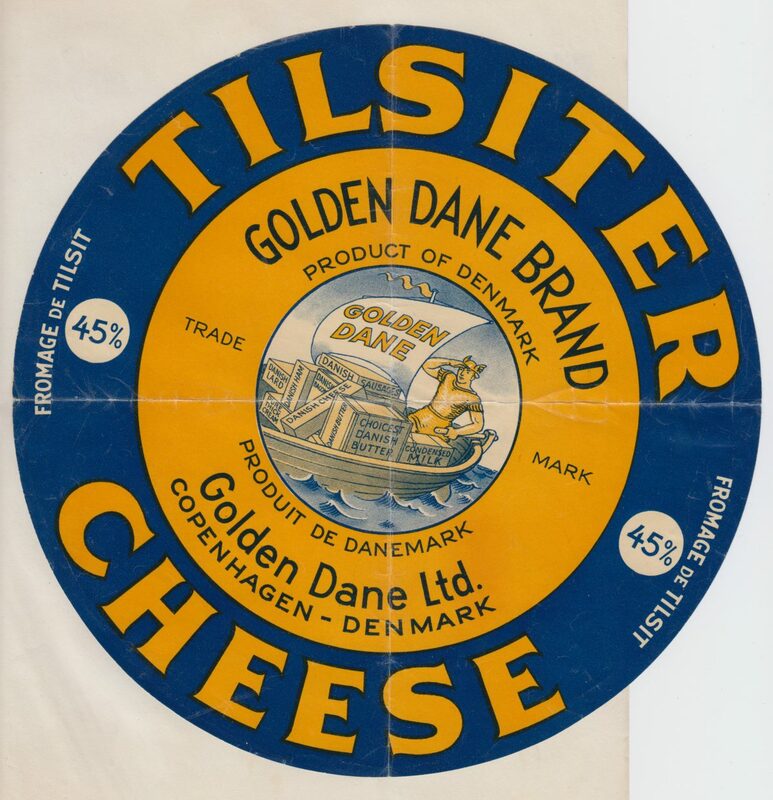 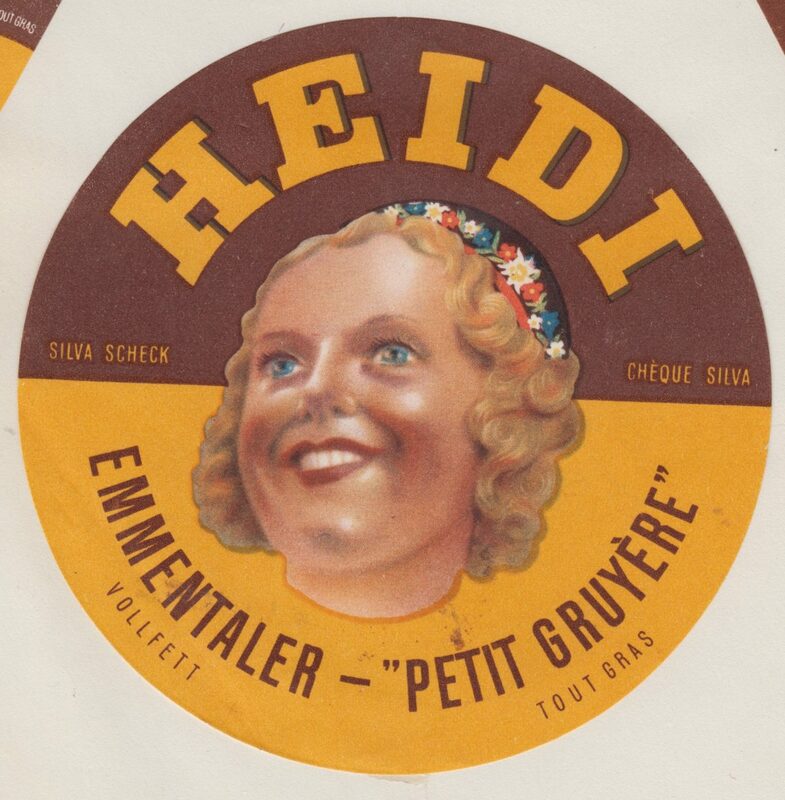 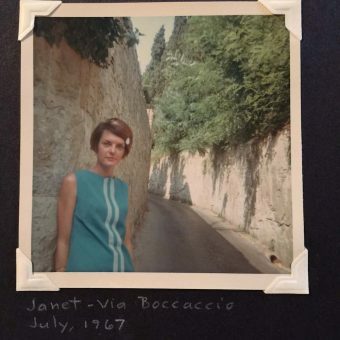 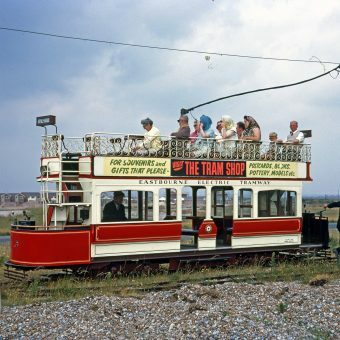 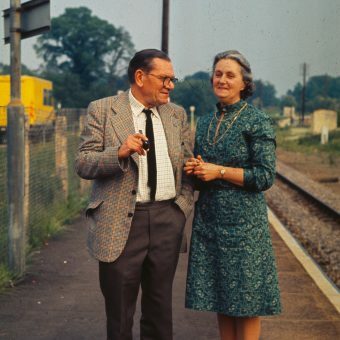 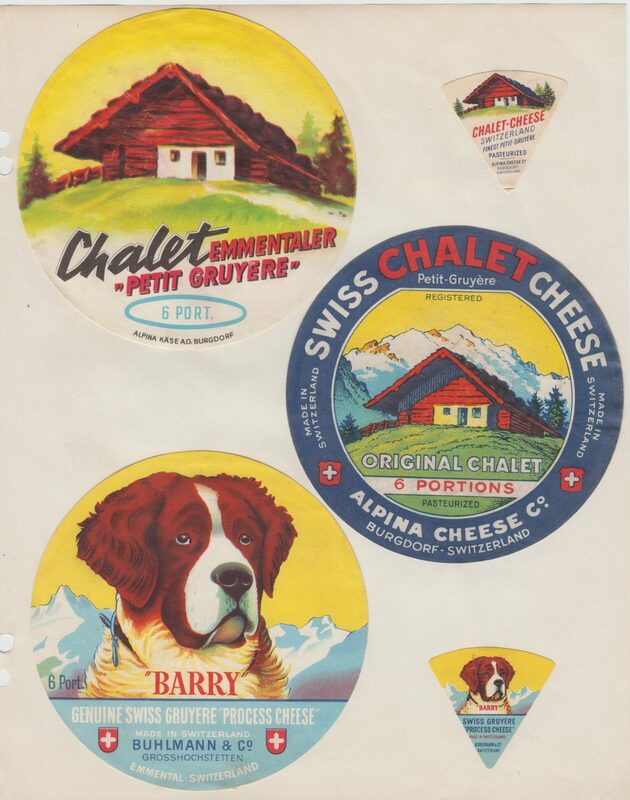 I wasn’t going to include them in this story – this is after all about vintage cheese labels and the pause runs the risk of disappointing readers drawn here on that promise and concerned about clickbait – but they’re fun and full of wit and warmth. 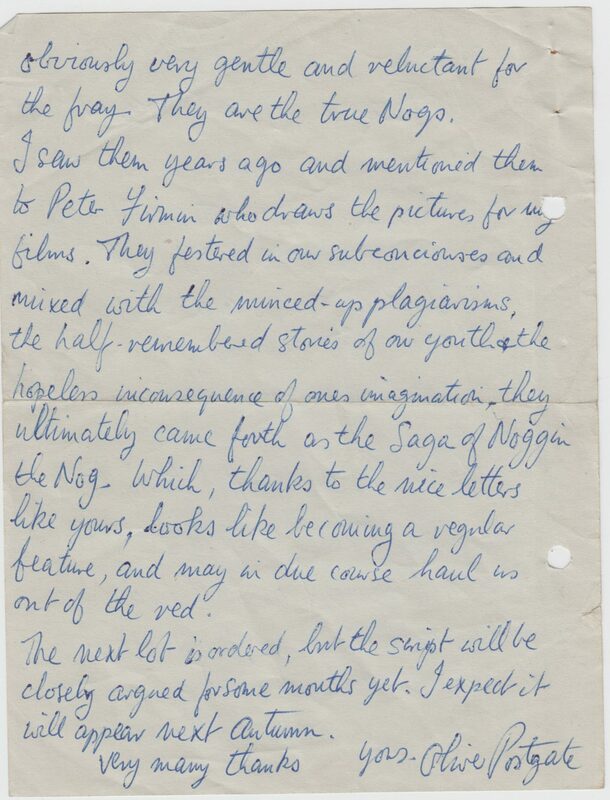 Letters between my father and Oliver Postgate 1961-62 concerning Noggin the Nog, Tolkien and accountants. 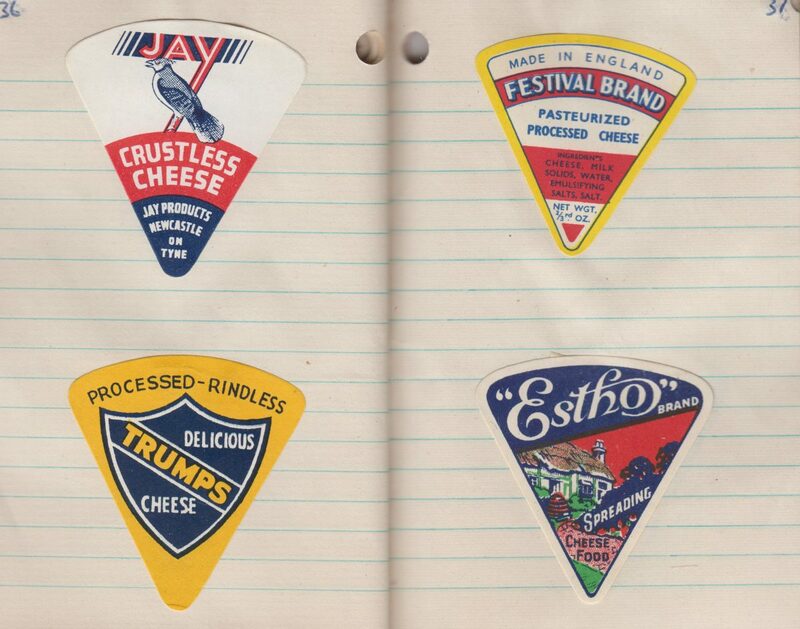 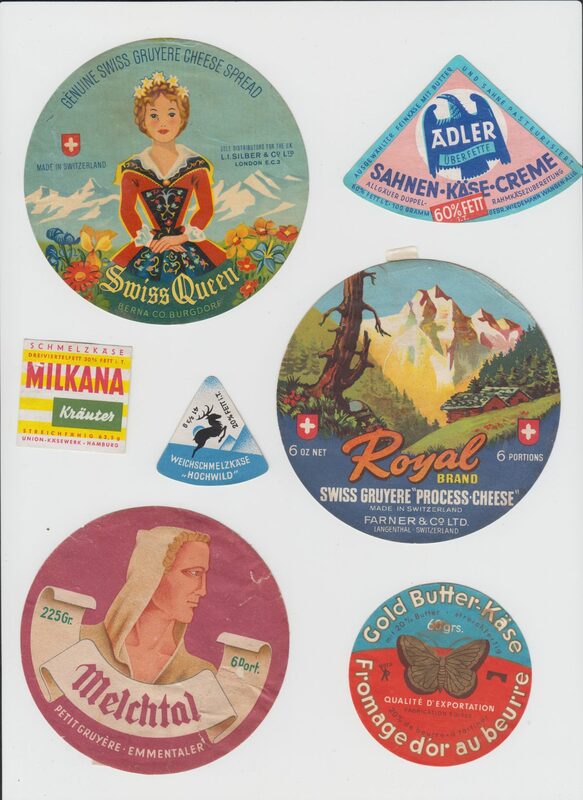 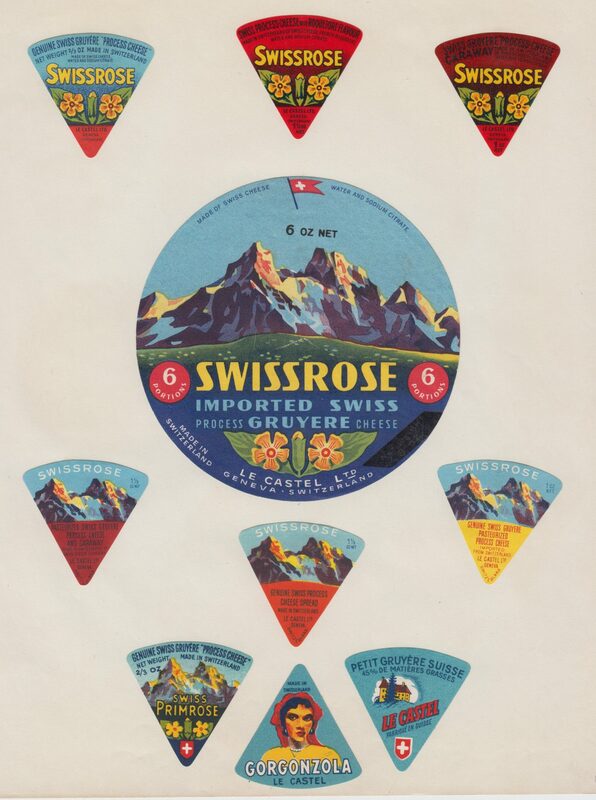 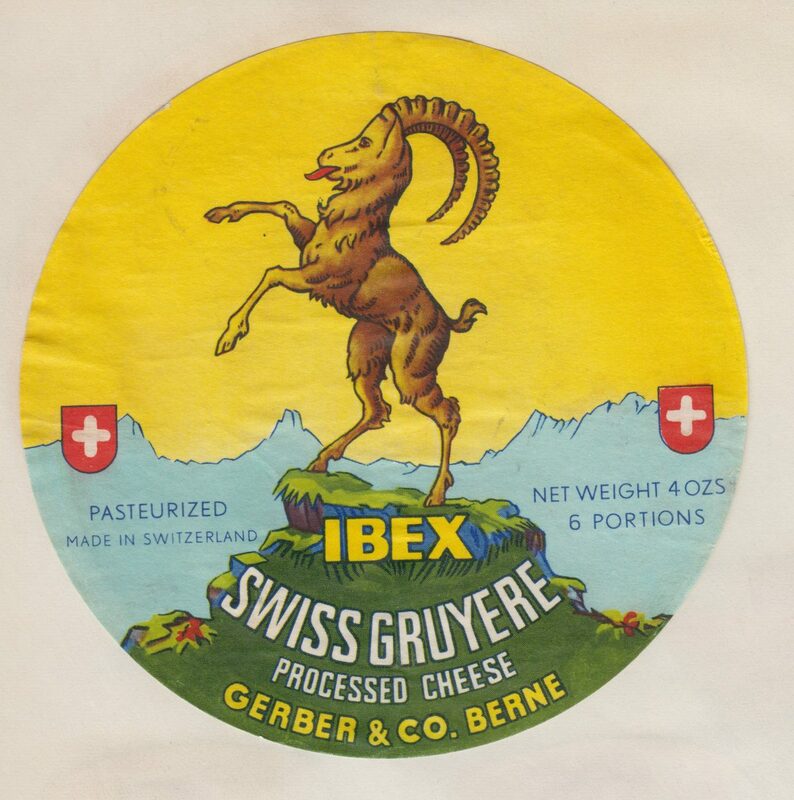 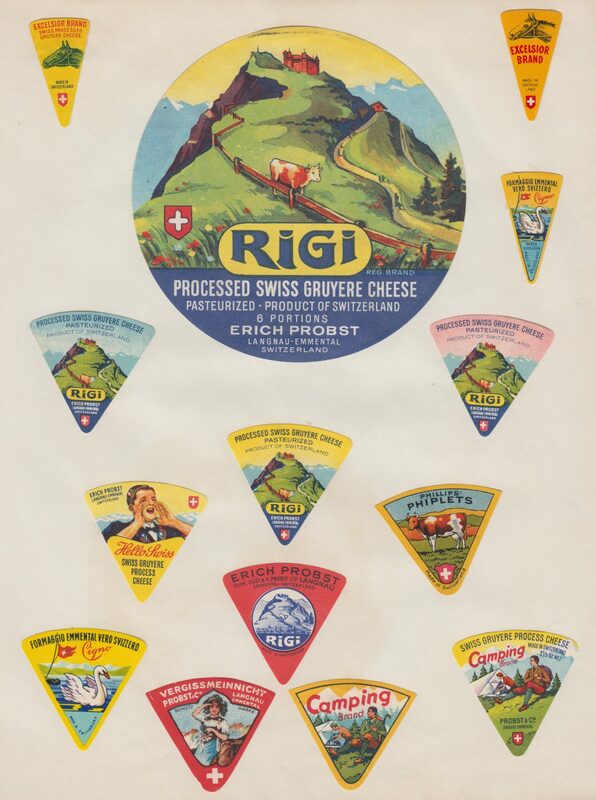 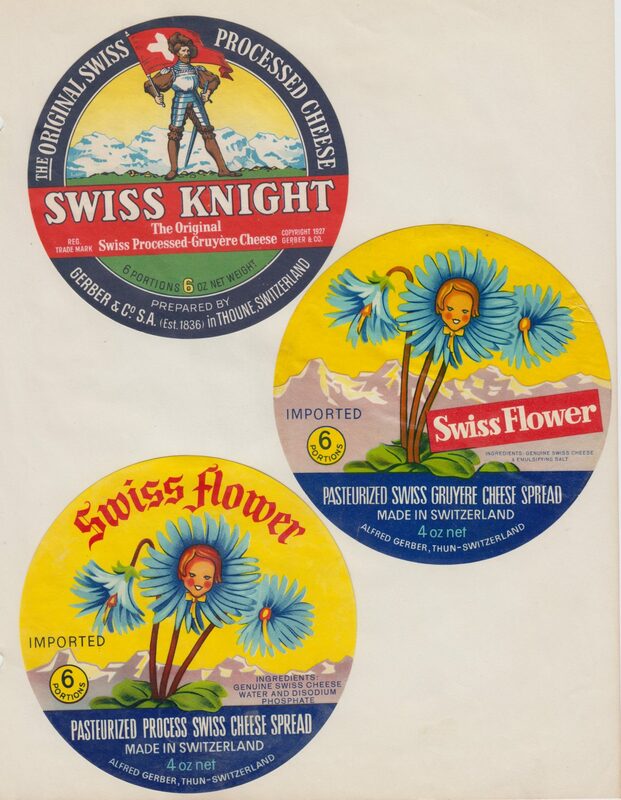 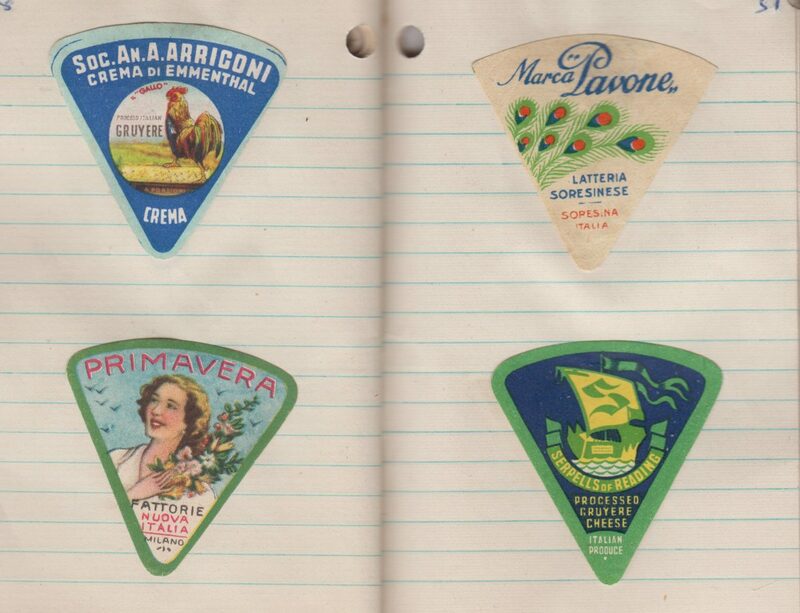 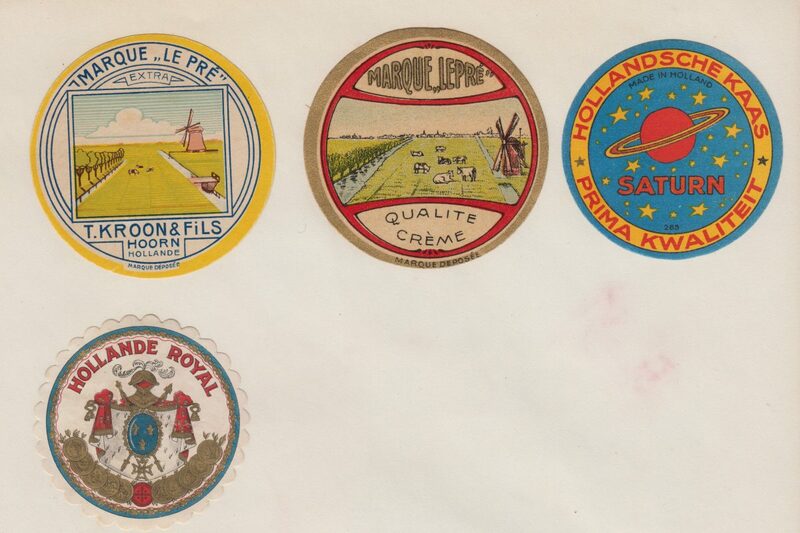 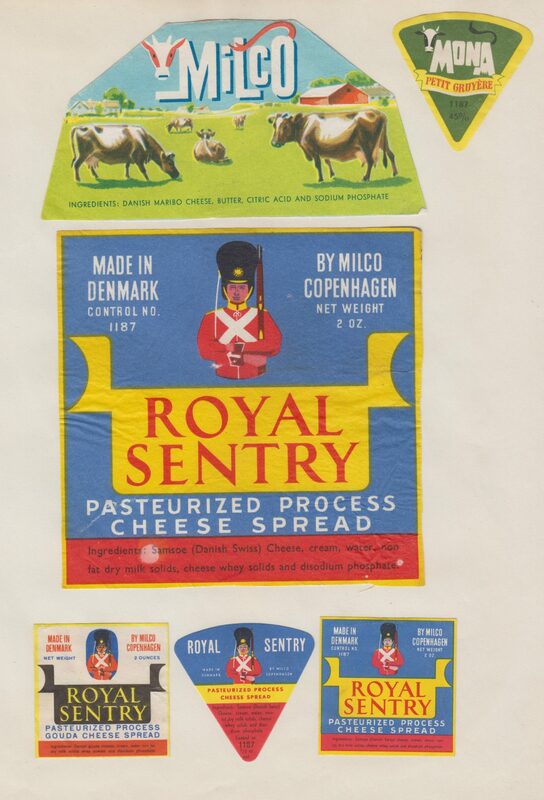 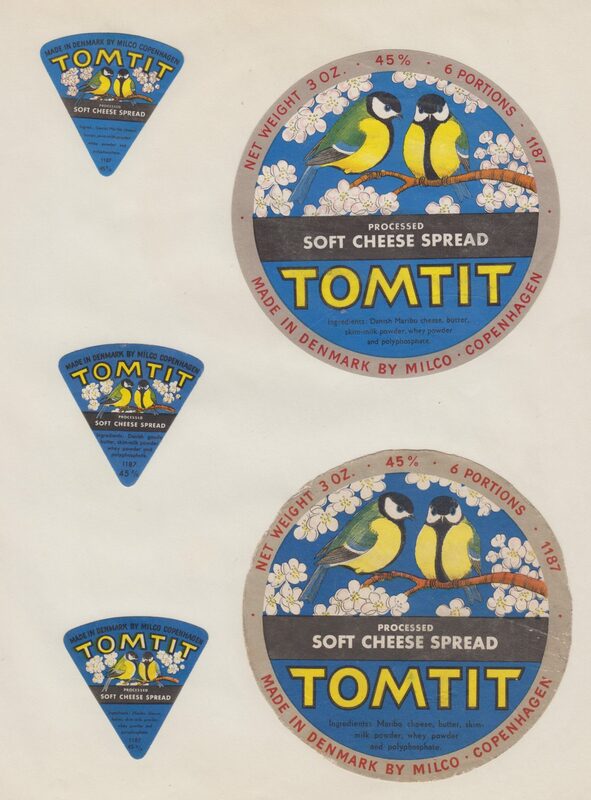 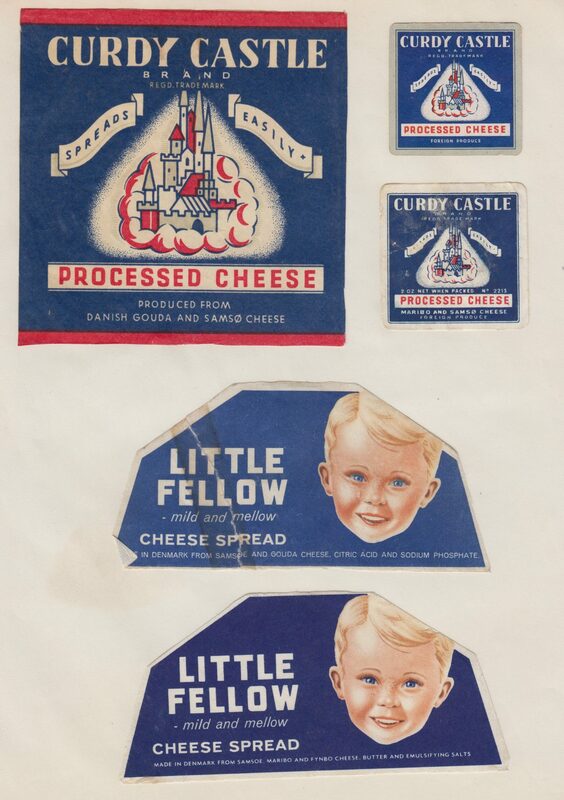 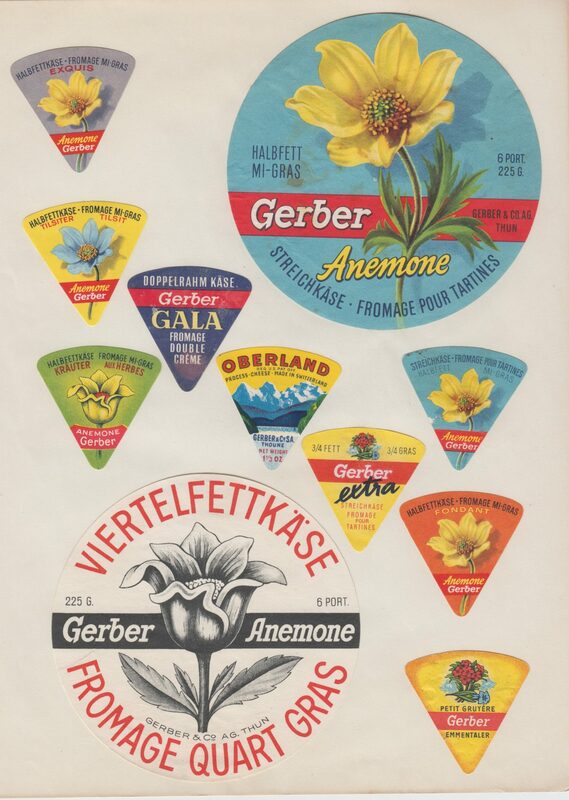 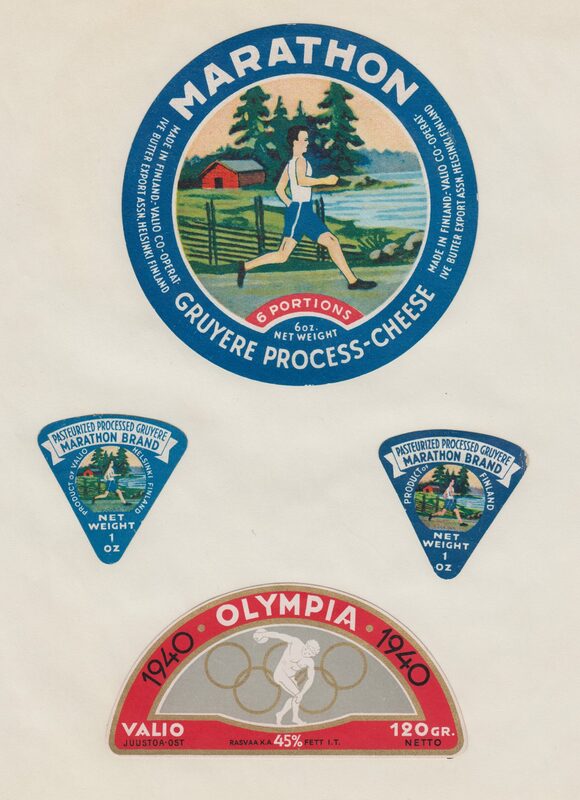 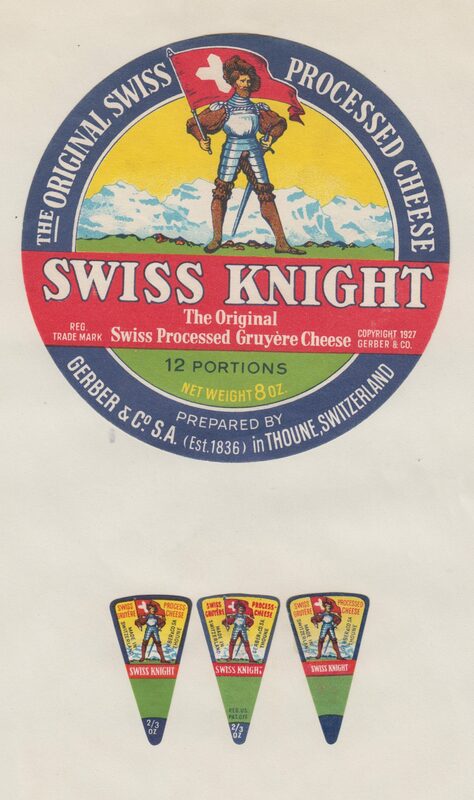 And what of the cheese labels? 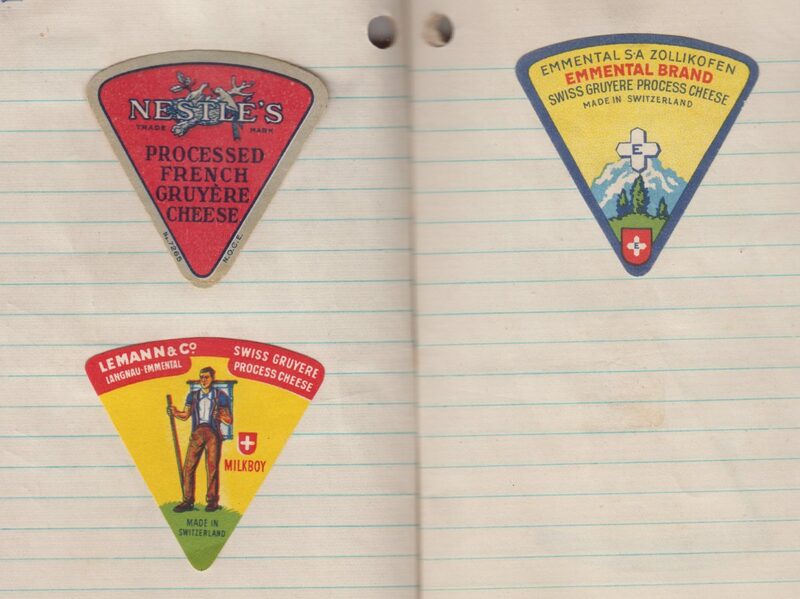 “I’m afraid I know very little about the collection,” Julian adds. 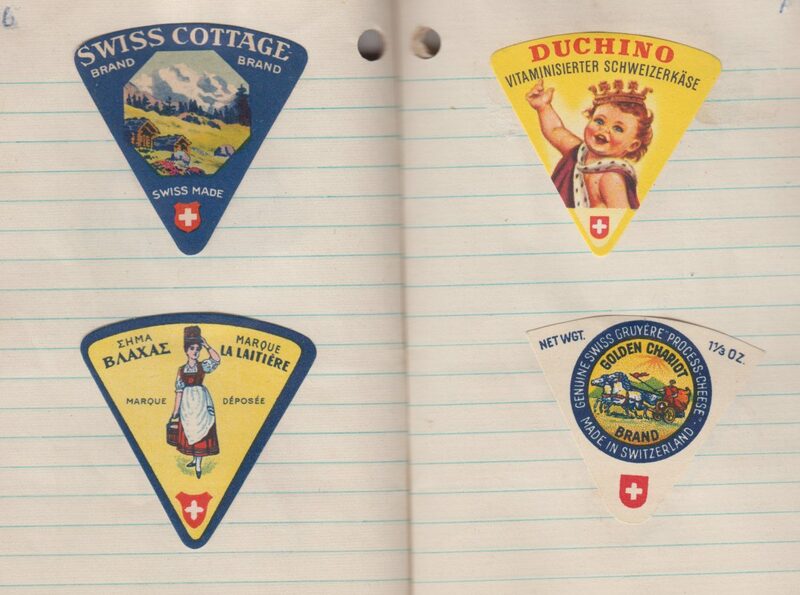 “I asked his brother why and when he might have collected them, but he didn’t know. 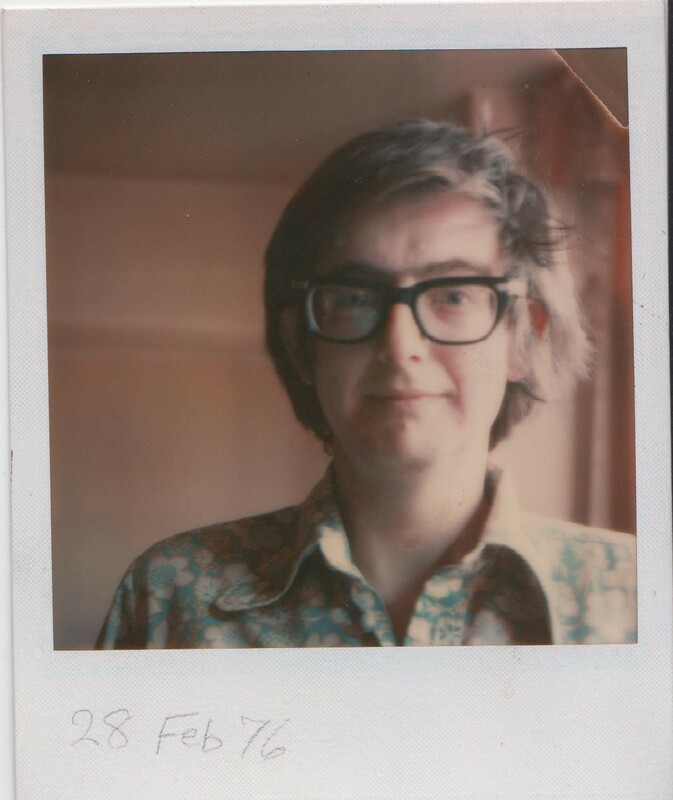 It obviously meant something to my dad as it was one of the things he wanted us to look after after he died.